Liverpool Street station first opened to passengers on 2 February 1874, although it wasn't completely finished and opened until the following year. It's been revamped and extended in its time, to accommodate the increasing number of people using it. 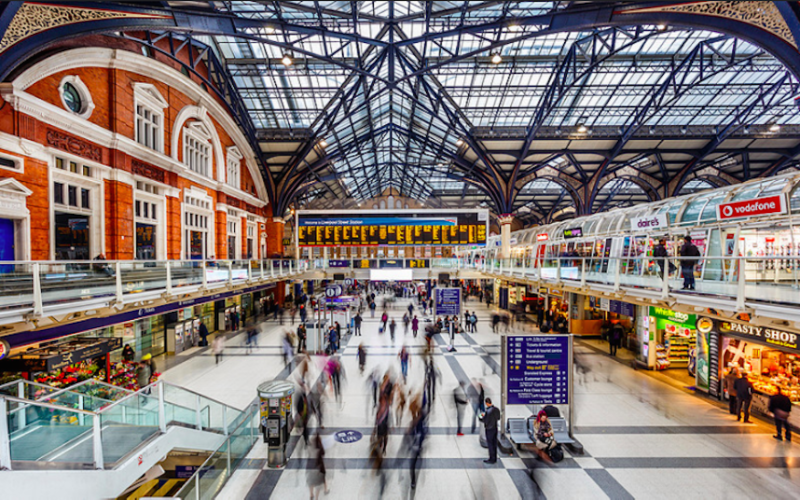 In the 2015-2016 year it was the UK's third busiest National Rail station, which'll come as no surprise to those who battle through its concourse every rush hour. Bishopsgate station doesn't exist today, but it previously stood close to the site where Shoreditch High Street station now is. It closed as a passenger station in 1875 but remained in use as a freight terminal until 1964, when a fire destroyed it. When Great Eastern Railway took over the Eastern Counties Railway in 1862, it saw an increase in passenger numbers. Bishopsgate station wasn't big enough, so GER began operating out of Fenchurch Street station too, but eventually that was too small, so it built a bigger station — Liverpool Street station. Its location in the City of London was chosen in the hope that it would attract commuters as passengers. It's fair to say this was correct. During a busy rush hour, when trains are cancelled and no-one's getting anywhere, it's not uncommon to hear the station described as 'Bedlam'. Oddly, that's not far off the mark. These day, Bethlem Royal Hospital — from which the use of 'Bedlam' to describe madness derives — is a mental health hospital (and excellent museum) in Beckenham. 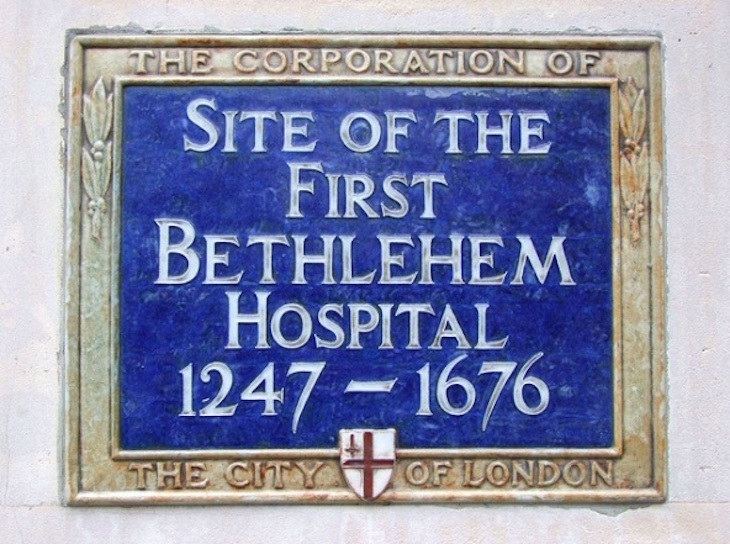 But the hospital's history can be traced back to 1247, when it was founded on the site where Liverpool Street station now stands. Back then, it was known as the Priory of St Mary of Bethlehem, and has been through several incarnations and locations before ending up at its current site. There's a plaque at the station today to commemorate this. Amsterdam Centraal station, to be precise. The twinning happened in 1993 to mark the fact that the stations bookmark the Dutchflyer Rail and Sail service, where passengers can take a train to Harwich and a ferry to Holland. Ever noticed this statue of children at the Liverpool Street entrance to the station? Rather than being evacuees, such as the many British children who left London for safety during the war, they are refugees — foreign children arriving in London from abroad. Many were in danger from persecution from their governments in their own countries, and so fled or were sent to England for safety. In 1938 and 1939, 10,000 Jewish children from Germany and Austria arrived in London via Liverpool Street station, having arrived in the UK via boat at Harwich. 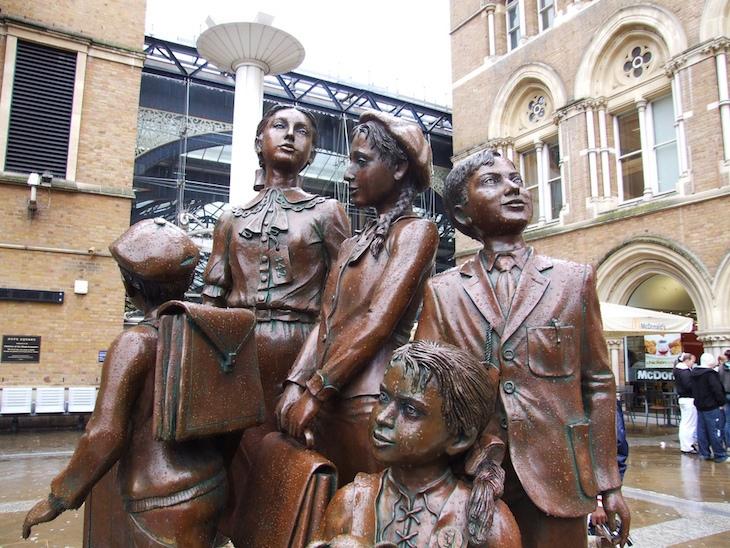 The statue — official name Kindertransport: The Arrival — was created Sculptor Frank Meisler, who himself was brought to London from Germany by Kindertransport. It was unveiled in 2006. Similar statues stand at stations in Hamburg, Rotterdam and Berlin. You've probably noticed the war memorial, but have you ever looked above it? There's a long stone Great Eastern Railway plaque. According to London Remembers, the stone was salvaged from Harwich House, which was demolished to make way for an extension to the station in the 1980s. If you've ever sat on a train crawling into Liverpool Street and wondered what the intricate stonework carvings under the railway arches are, here's your answer. The hotel next to the station on Liverpool Street — known as the Great Eastern Hotel when it opened, now part of the Hyatt chain — was designed by Charles Barry Jr, son of the Charles Barry who designed the House of Parliament. Its opulence continued within; apparently guests were able to bathe in fresh seawater, which was transported from the hotel daily by rail. The station complex has three branches of Starbucks, which some people might find excessive. If that's not enough caffeine for you, there's another branch on nearby Sun Street, one on Finsbury Square, and another on Brushfield Street, all within five minutes walk of the station. It's a fitting welcome to the bedlam that is the City of London.